Upon receipt of a food diary (which will be provided), I will analyse your diet, and provide a complete breakdown of the macronutrients (e.g. protein, fat, fibre) and micronutrients (e.g. 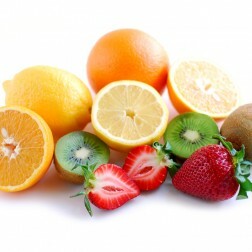 iron, calcium, folic acid, vitamins) in your diet. I will compare these with your nutrient requirements, and provide computerised graphs to enable you to visualise where you can improve your dietary intake. This analysis will help to identify any nutritional deficiencies, without the need for invasive bloods or other tests which have little evidence base. Telephone feedback is provided. Bespoke weight loss groups and healthy eating groups are available if groups of friends wish to get together to commission me to run them. These are usually run as 6-week courses, but can be tailored for your specific group. For more information, please visit my training & courses page. I have a wealth of experience in providing bespoke training, courses and workshops to a variety of groups and settings. Please visit my training & courses page for more information on this. I am experienced in writing articles on nutrition and health related topics, and particularly enjoy this area of dietetics. I currently write articles for Diet in Pregnancy and the Talk Health Partnership. Please contact me to discuss your requirements. As an experienced nutritional professional, I am able to offer a confident, friendly and authoritative service, to work with all your media and PR needs. I have written articles and information for websites, newsletters and resources, and have a keen eye for detail. I am able to translate the science of nutrition into language that can be understood by any audience. Please visit my media page for links to interviews and media work. I have significant experience in developing resources and working with a graphic designer as required. Nutritional resources on any topic (e.g. health education literature, flyers, leaflets and posters) can be produced, and printed if required. Please contact me to discuss your requirements. Detailed computerised nutritional analysis can be provided for use in larger settings and institutions (e.g. restaurants, cafes, hospitals, care homes, schools, nurseries, workplaces), personal use and the media. Please contact me to discuss your requirements. An hour-long visit to a local supermarket, where you can discover practical advice and information on food as required by you. Previous clients have requested information on food labelling (how to use food labels to choose healthier foods, or to avoid certain allergens), comparing branded vs budget food, and visualising portion sizes. Please contact me to discuss your requirements. Please contact me to discuss your requirements and prices. If you can’t see the service you require, please just ask – bespoke ‘packages’ are available to meet your specific needs or requests.